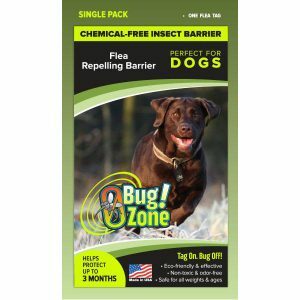 Hilton Herbs Canine Top Coat – Refined foods, environmental pressures, stress, and allergies all have the potential to produce poor coat and skin conditions. 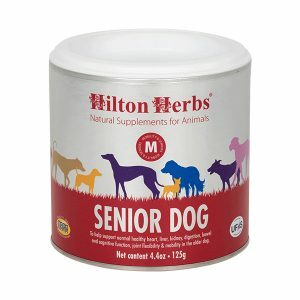 Hilton Herbs Canine Top Coat is a pure herbal formulation containing Calendula, Chamomile, Nettle, Cleaver, Burdock, Dandelion root and Kelp to help support a healthy coat and skin in dogs of all ages. 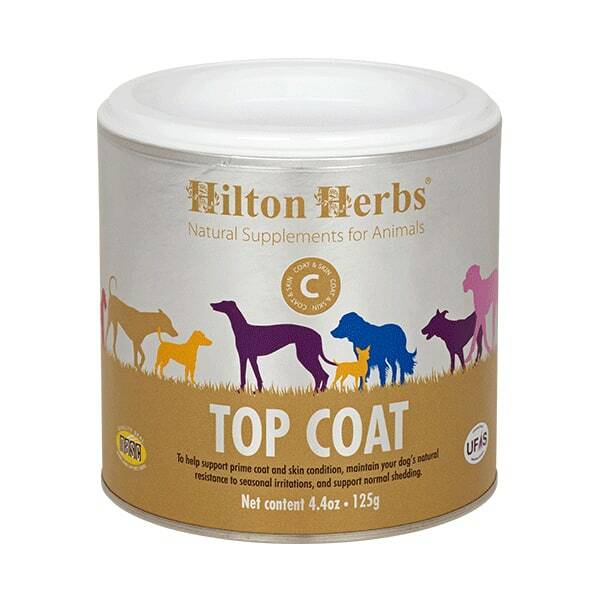 Hilton Herbs Canine Top Coat is our natural supplement for dogs, which contains plants to support and maintain depth of coat colour and skin pigmentation. 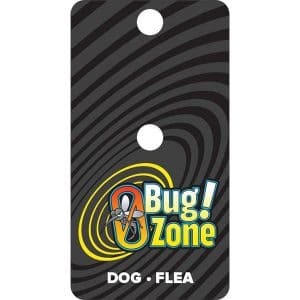 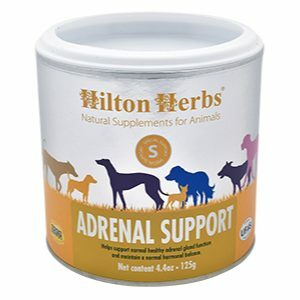 There are also herbs to help your dog’s natural resistance to allergens, as well as plants that will cool, soothe and cleanse, ensuring your dog maintains prime coat and skin condition all year round. If necessary use Hilton Herbs’ soothing anti–bacterial and anti–fungal cream Phytobalm for any abrasions, irritations, dry or scurfy areas and our Coal Tar Neem and Tea Tree shampoo for scurfy, smelly coats.